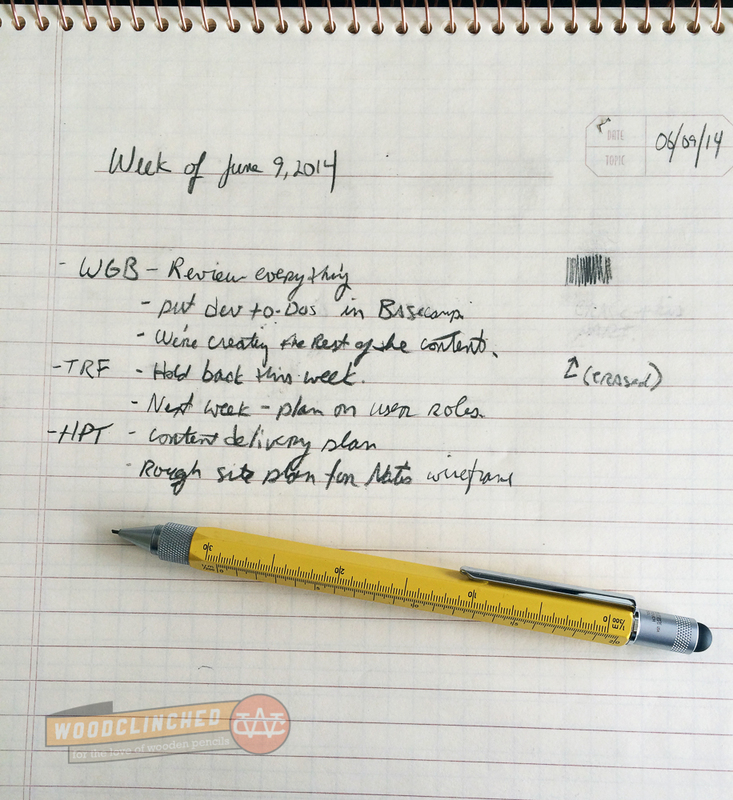 This blog is about wooden pencils; in fact, “wood” is right there in the name. 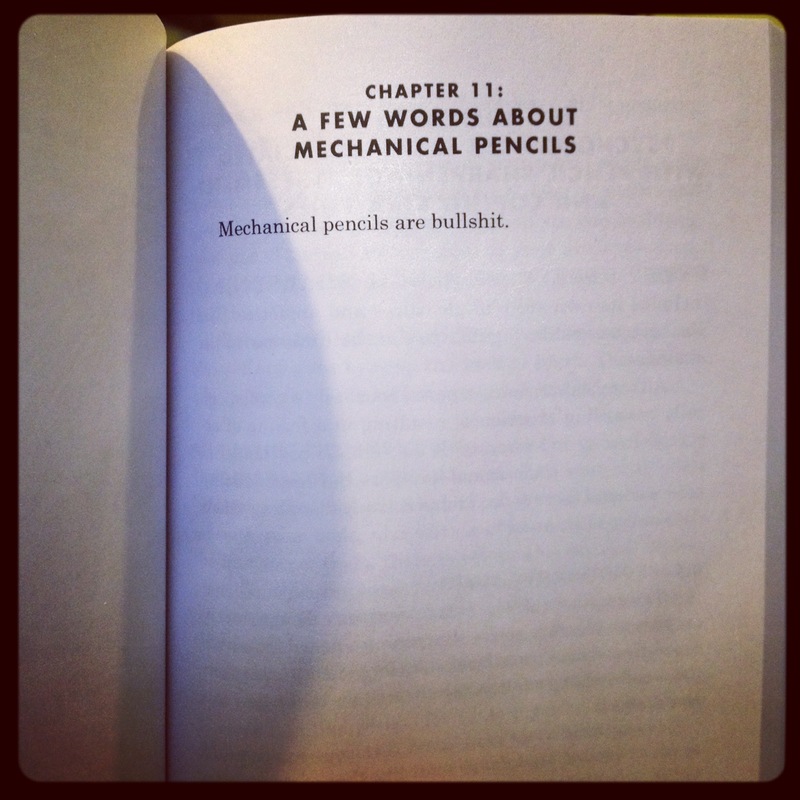 I’ve always eschewed mechanical pencils, an in fact, have often linked to my favorite chapter, in full, of David Rees’s book, How to Sharpen Pencils. You’re about to read a review of a mechanical pencil. After you recover from that blow, I’ll give you a bit of a background. Ron from Pen Chalet contacted me a few months ago asking if I’d like to review anything from his shop. I’ve always admired his selection of high-end pens (Where else could I buy a $30,000 fountain pen?) but I knew that I couldn’t justify acquiring a fancy fountain pen for review on a pencil blog. I don’t have the vocabulary or the breadth of knowledge about pens to give it a fair review — I leave that to the likes of Brad or Ed or any of the other great pen bloggers out there. Have you ever seen such a thing? I haven’t. I was familiar with Monteverde previously, but I don’t think I’ve ever used one of their products. 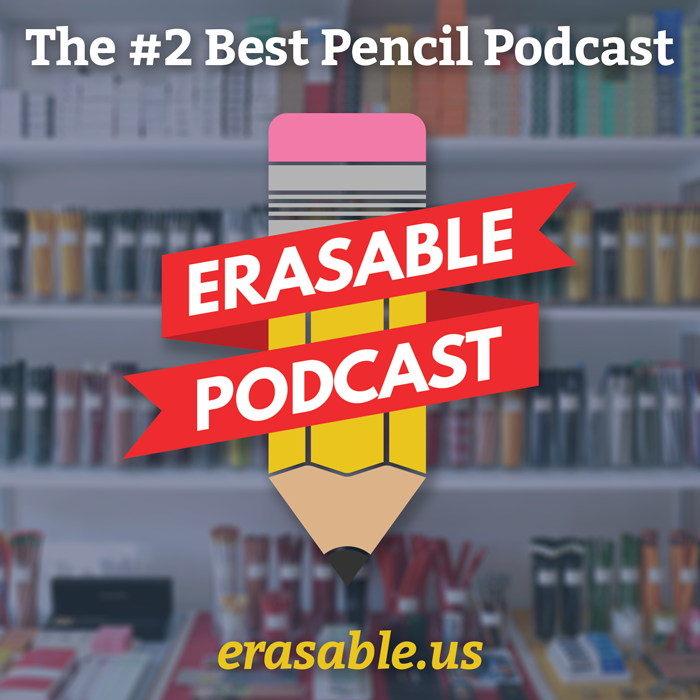 This looks super cool — from the bright yellow hexagonal shape (almost like a wooden pencil!) to the ruled hashes on the side, to the capacitive stylus on the end. This looks like something Alton Brown would carry, or maybe Tommy Silva from This Old House. I was disappointed to note that the mechanical pencil doesn’t have the bubble level function in the side — that comes only with the fountain pen and the ballpoint. I think the mechanism that pushes the graphite up and down took up too much room. But some of the other functions more than made up for it. The barrel features three different units of measurement — inches, 1:100 meters, 1:200 meters, and 1:300 meters. The top opposite end of the barrel (where the eraser would be on a wooden pencil) has a really nice capacitive touch stylus that’s pretty sensitive. I could do some detailed sketching on my iPhone with it. I admit I don’t use a stylus very often, but when I do, this is a perfect one to use. …a tiny screwdriver? That’s awesome. The bit pops out and is reversible, so you can work with Phillips and with flat head screws. It’s a bit too tiny to work with screws on, say, a piece of furniture, but just right for precision work — perfect for tightening screws on my eyeglasses or a hand-held electronic device. I knew that somewhere — somewhere! — there was an eraser. A coworker and I played around with it, trying to find it. Finally, we pulled on the end where the graphite comes out, and there it was! Like most high-end mechanical pencils, it’s almost useless. I don’t know if they think those who use fancy mechanical pencils don’t need to erase with any frequency, or what, but I knew that between its stature and its accessibility, I’d continue to use a handheld eraser when using this pencil. As soon as it arrived at my door, I was excited. The package has a nice heft to it — something I’ll admit wooden pencils can’t replicate. I knew I was holding a solidly machined piece of metal, heavy but compact — like a MacBook or an iPhone. The one drawback to the feel of it is intrinsic with any mechanical pencil with loose leads floating around inside: it rattles. Unlike a pen or a wooden pencil, if you move it around a bit, you can hear and feel that lead inside. But this is something I realize can’t be helped. As I mentioned before, the yellow, hex barrel reminds me of a wooden pencil. Otherwise, that’s where it stops. There is handsome brushed aluminum on either end of the barrel; acting as the “ferrule” for the stylus, and providing a grip on the tip. The pocket clip is a shiny stainless. This has been the hardest part of the review, just because I’m unsure of myself. I lack the breadth of experience to even compare this to other mechanicals — when I do use one, it’s a cheap disposable pencil like my favorite, the Zebra #2, which doesn’t compare at all to this. I even lack the vocabulary — what do you call the mechanism that draws the graphite core down? How do you grade the graphite refills? I have no idea. Finally, I just decided to grin and bear it, and just honestly speak of my experience. First of all, it took some getting used to when extending the graphite. If I drew it down too far, it got loose and when I pressed down, it would recede slightly back up into the pencil. Besides that detail, the parts that makes this mechanical pencil “mechanical” are excellent. The bits that turn and screw/unscrew turn smoothly. The parts that are held in by tension hold fast, and pop out with a pretty easy yank. The other drawback, for me and my way of writing, is that the graphite core is so thick! 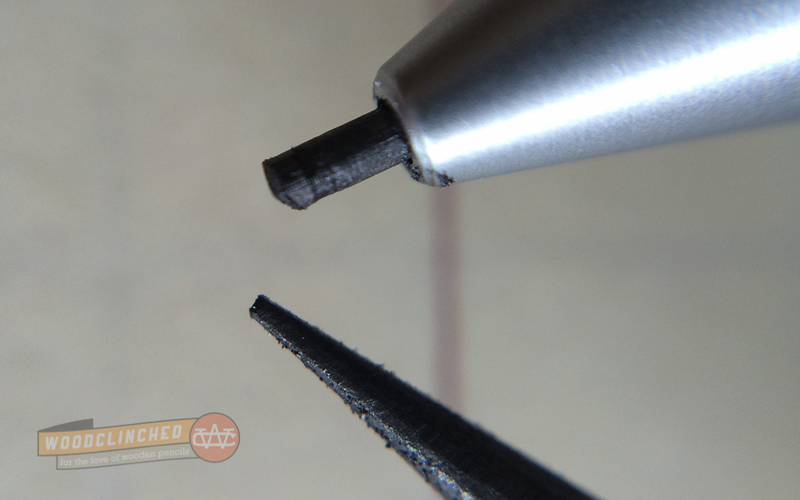 It uses a 0.9mm refill, which is roughly the thickness of a moderately dull wooden pencil. I generally prefer a 0.7mm core, which is what, say, the aforementioned Zebra #2 uses. I’ve been known to use a 0.5mm lead, but that is generally too thin and I break it if I press down with my normal amount of pressure. The tip of the Monteverde mechanical pencil, top, compared to the tip of a Palomino Blackwing Classic, freshly sharpened in a Classroom-Friendly pencil sharpener. Here’s where I get confused when writing about mechanical pencils: reviewing the quality of the graphite. With wooden pencils and the baked-in core, I know that the graphite is (or should be) of a consistent quality. With mechanical pencils, where the core is divorced from the production of the barrel, how do I review it? In any case, despite the thickness of the core, it writes silky smooth. It feels much softer and darker than a standard HB lead — I’d put this at a 3B or even a 4B. It’s not great for how hard I press; I turn the tip to advance more lead before I even reach the end of a line, sometimes. The graphite erases like a champ, though, very cleanly considering how dark it is. I’d venture a guess and say that this graphite is optimized for those making notations in a shop, on wood or ceramic or something. Like a Palomino Classic, it’d be great for sketching and drawing, but maybe not for writing. This is a unique, interesting concept that’s well-executed for what it needs to do. It’s well-manufactured and much attention has been paid to the details. On the other hand, the concept is odd; I’m not sure when I’ll need a mechanical pencil with a ruler (usually, I’d want to use the pencil alongside the ruler to make marks at the rule) along with a screwdriver along with a stylus, but if I do, this is the tool. This pencil is not flavored for my particular pencil work-flow, which involved a lot of writing and note-taking. But for someone taking short, sketchy notes and annotations, especially against a different surface than notebook paper, it’d be fantastic. The price, $40 (on sale lately for $32), is reasonable, especially considering how long this thing will last. This is definitely a multi-generational keeper. As I said before, reviewing this thing has been a challenge but an interesting and enjoyable one. I don’t think I’ve become a fine mechanical pencil convert, but I have learned to notice and appreciate details that I’ve never really thought of before. When I use a mechanical pencil, I’m still planning on reaching for my Zebra #2, if only because of its utility, size and price. But this Monteverde will be a prized member of my collection of pencilnalia. Check it out at Pen Chalet for $32. It’s available in silver and black as well, which are beautiful in their own right, but for me, bright yellow is the way to go. UPDATE: Great minds must think alike! My friend and podcast co-host Johnny Gamber from Pencil Revolution posted a review of the same product, in the same color, on the same day! I won’t spoil his review, so go over and check it out. Andy, you know I am not being facetious if I say that that GIF is going to be the envy of the Pencil Blogosphere. I think we should all get together with these babies and start a band called Heavy Metal Pencils.